Deliciously sweet blackberries are one of my favorite things about summer here in Northern California. 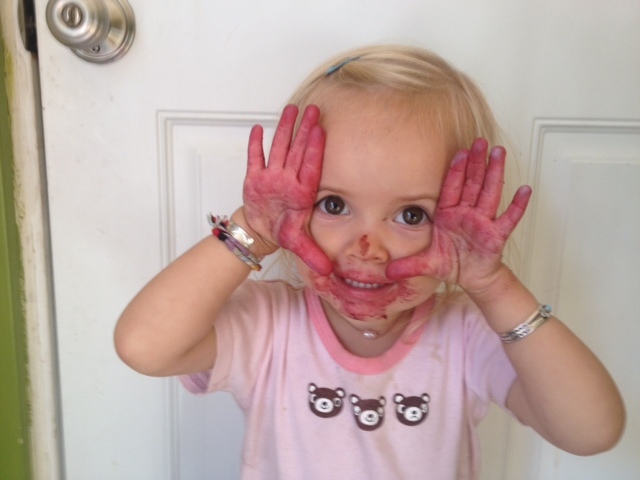 We can walk just a few minutes from our house and pick as many blackberries as we can handle. Needless to say, blackberries have been on the menu lately: Blackberry smoothies, blackberry kefir, blackberry pancakes, and blackberry gummy treats. 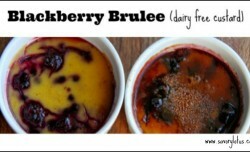 But best of all: Blackberry Brulee. 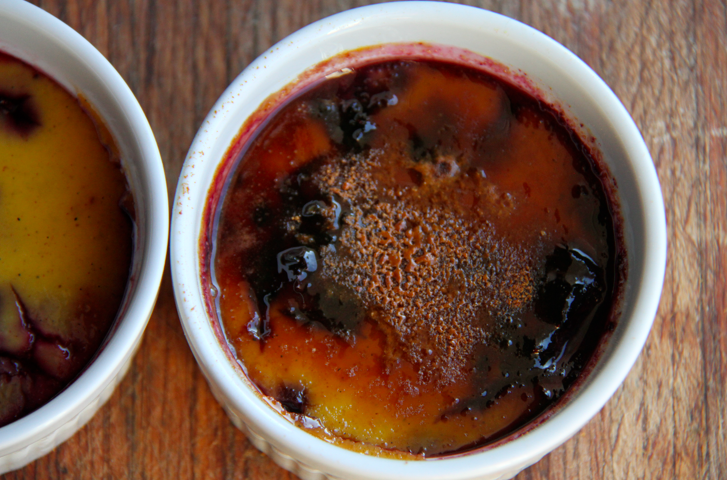 Brulee is a custardy dessert topped with a hard layer of caramel. It’s a popular dessert in many restaurants. 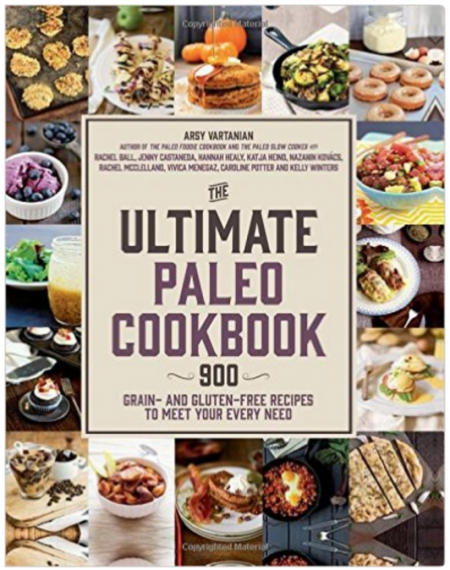 And now you can impress your friends and family by making it at home. You won’t believe how easy it is. And did I mention that it is dairy free? I used full fat canned coconut milk. (where to buy additive free coconut milk) I was pretty impressed how good it tasted. I actually ate mine for breakfast without the hard topping. But if you really want to blow them away, sprinkle on a bit of coconut sugar before serving and slide it under the broiler for a minute or two. Holy Smokes! You will need 6 individual ramekins (like this) for this recipe. I know I have mentioned it before, but I love mini desserts. They make me happy. My kids love them too. You will want to make this treat ahead of time as they need to sit in the fridge at least 4 hours. 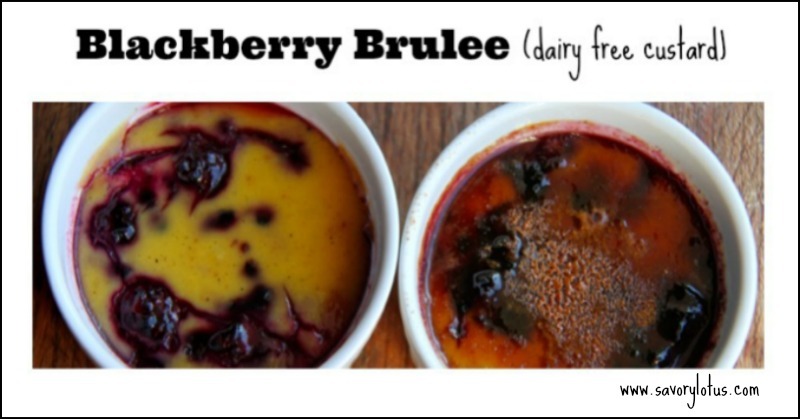 Brulee is traditionally served cold or at room temperature. Enjoy! Preheat oven to 325’F. Place large baking dish in oven and fill 1/3 with water. Lightly oil 6 ramekins. Divide blackberries evenly in the bottom of ramekins. Whisk egg yolks and honey together in a medium bowl. In a sauce pan, slowly heat coconut milk, split vanilla bean pod and scraped seeds, sea salt, and cinnamon until edges barely begin to bubble. DO NOT BOIL. Remove vanilla bean pod. 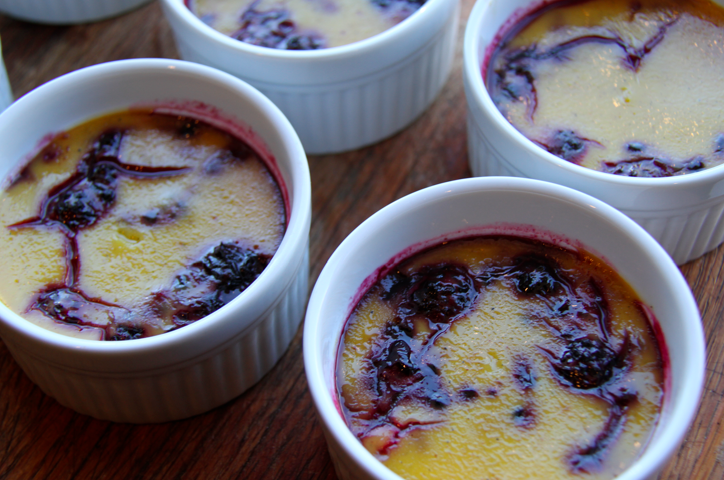 Strain the custard into the 6 ramekins right over the berries. 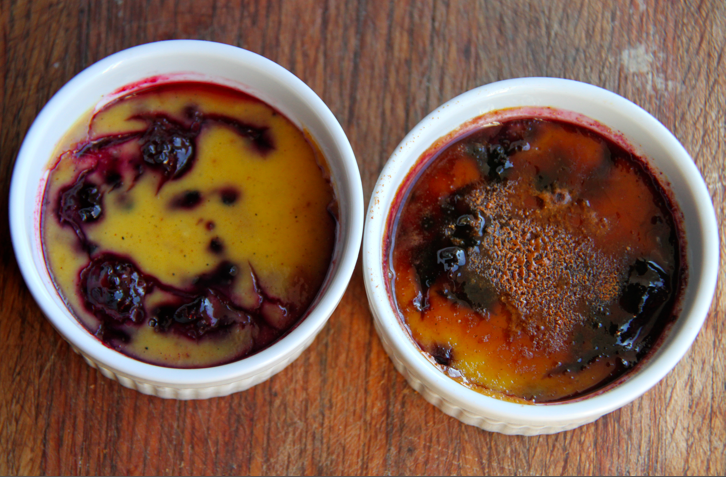 Place ramekins in the baking dish and bake 35-40 minutes, until custard is set. Carefully remove baking dish from oven and remove ramekins. Tongs are useful here. Refrigerate for at least 4 hours. Sprinkle 1 TBS coconut sugar evenly across top of each dessert. Broil 1-2 minutes until sugar melt. Watch it carefully as it burns QUICKLY! Does it make a difference if you leave out the salt? I assume it’s just for flavour? 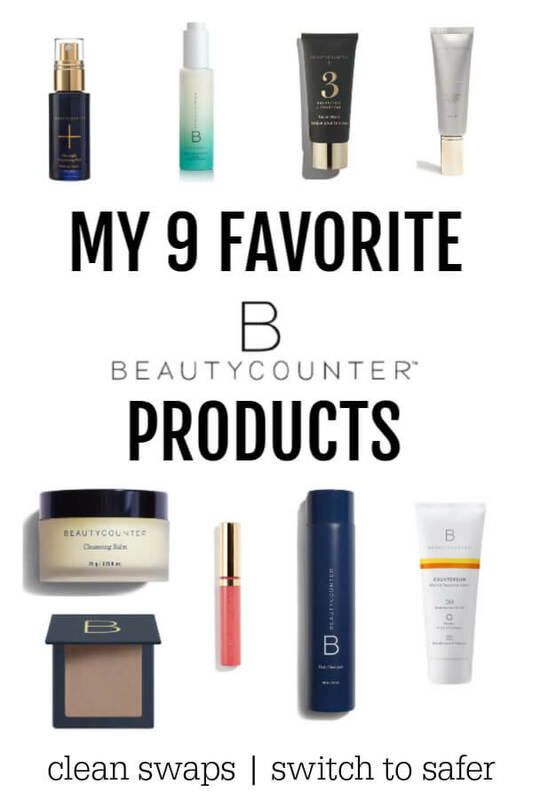 Would sure like to link THIS site back to my Pinterest page. Am I missing the link or is there not one?